Elton John likes our site … who knew?! I was cold and wet, sitting in my car last (rainy) Thursday night after attending a free workshop on how to write an effective business plan, when I decided to check my Facebook page on my iPhone. “He mentioned us by name?” I fired back. This really happened? I didn’t want to question Bruce’s integrity; why would he make up such a thing? Don’t get worked up, I said to myself. Maybe he misheard Elton. The next day, I emailed someone at Sirius to ask for a copy of the broadcast but never got a reply. My next option was getting a 30-day free trial of SiriusXM just so I could hear this for myself. I was still finding it hard to believe that Elton John, one of the greatest artists of all time, had singled out Pauseandplay.com. Finally, at 1 p.m. 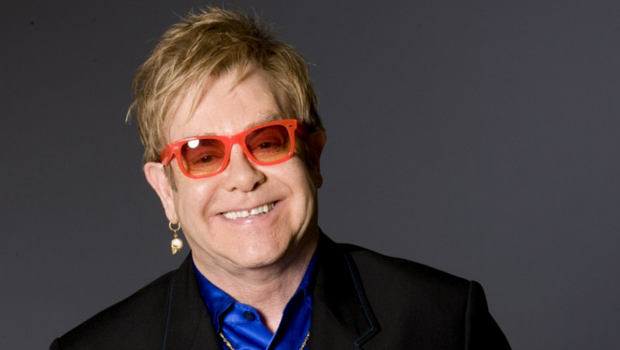 ET Sunday, SiriusXM rebroadcast “Town Hall with Elton John” on its Spectrum channel. Moderated by Rolling Stone journalist David Fricke, the hourlong Q&A session was taped at Los Angeles’ Wiltern Theatre on Jan. 13, just three days after the stunning death of David Bowie, and the show premiered on Feb. 4. The 68-year-old John reflected on Bowie, on his own legacy, why he still loves making new music, his long-lasting writing partnership with Bernie Taupin, his love of playing live and current artists that impress him. Finally, at the end of the interview, he said that although his tastes in music are fresh and current, he’s not into streaming. He’s old school: He’s all about buying CDs, vinyl, DVDs and music books. Fricke asked him how he buys his music, since record stores are virtually extinct. John said he keeps a running tally of upcoming CDs, vinyl, DVDs and music books in separate ledgers and crosses off the items he’s purchased with a pink highlighter. I put my face in my hands and got choked up. There are days where I wonder if anyone’s paying attention, whether my little site is making a difference, but now I can say this at least …. Elton John likes Pauseandplay.com. Sorry, Bruce, if somehow it sounded like I doubted you.